Carpet Cleaning Maintenance Tips can be of great value. You all want carpets to look great when the relatives arrive. There are a few simple things to consider that will not cost a lot of money but will save you money over time. The colour choice of carpets does matter. In busy households with small children and pets, white carpets are going to show wear and tear quite quickly. The vast majority of carpets being sold today are still light or beige. Whilst these carpets look great when they are new, dirt and dust show up in a quick and obvious way. So when you next choose carpet colours it may be time to consider to choose a colour that is a couple of shades darker. Choose quality carpets and underlay if at all possible. The phrase “you get what you pay for’ is very relevant when it comes down to buying carpets. Cheap carpets do not last very long and will look quite shabby within a short time. We know that everybody loves a bargain but budget carpets are not a good idea. Fibre type and density play a significant role in the cost of carpets. Maintenance is so much easier on a fibre dense wool carpet that on a cheap polyester floor covering. Get the right habits in play. Get all people who walk into your house to take their shoes off. Eat meals at the dining table and avoid eating and drinking in the lounge or bedrooms area. Vacuum all carpets on a regular basis. Investing in a quality vacuum cleaner will ensure that you limit the dust being recycled instead of being removed. Our preferred brand of choice is Sebo. Have a look at the following guide as well. Attend stains when they happen. Use of water and gentle blotting with an absorbent cloth or (not rubbing) does the trick in most cases. 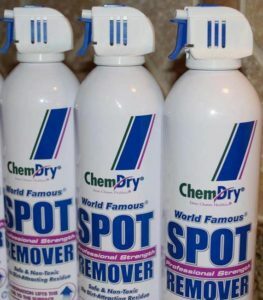 We also sell a fantastic spot remover. Many of our customers will not use anything else. Do not drag heavy furniture across a carpet. Once you have caused a ripple in a carpet, normal traffic will age the carpet quite quickly. The danger of delamination where the backing of the carpet is damaged is also a consideration. Fibre loss follows and the lifespan of the carpet becomes much shorter. Damp or wet carpet should be dried as soon as possible. Do not expect carpets to dry without extraction and drying equipment. Even though the fibres may dry on top, the underlay, carpet backing and floor can remain wet for weeks afterwards if carpet drying is not done professionally. The next thing you will notice is a mouldy carpet or mould starting on blinds or windows. Once the mould incubation has progressed to this stage, the mould spores may spread to the rest of the house. Want More Information and Tips? Call Us! We clean so much more than just carpets. Our rug, mattress, couch and tile cleaning and restoration services look after thousands of Sydney customers each year.